I don’t know who first said that, but it’s a great line. And it’s so true. You have to be a pretty hardened and self-centered person not to notice a baby, and at least for a moment, be reminded of the joy of life. But it’s not just babies that remind us of the many ways life involves joy and celebration. All throughout life, if we are paying attention, there are times to stop and simply be grateful for life, and those we share life with. Birthdays. Weddings. New jobs. First homes. Graduations. Retirements. Life is full of difficulties and challenges, sure. But it is also full of times of celebration and shared joy. And shame on us when we miss those times, for they are gifts to be cherished and remembered. May happens to be a great month to do that, and so this Sunday at Fern Creek Christian we are going to celebrate new children, new graduates, and one guy who is anything but new — but has a powerful story. If Fern Creek is your church family, I hope you’ll join us to celebrate some important moments in the lives of folks within our church family. But make sure you are also taking time to notice the moments of joy that happen around you each day. Don’t be so caught up in the now that you miss the new — for we serve a God who is continually up to new things. 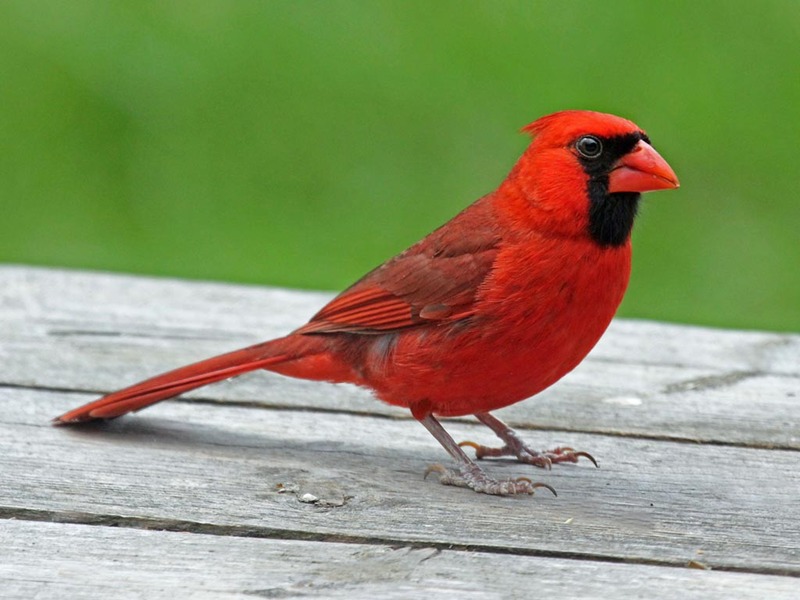 The other day, I looked out my living room window and noticed a cardinal hopping around my front yard. Cardinals are everywhere — after all, I live in Louisville. This particular bird didn’t see me, so I was able to watch him for a couple of minutes. I made note of how black it is around his eyes — something I hadn’t taken the time to notice before. I watched as he pecked at the ground. I enjoyed seeing him continually bob his head, scanning the the space around him for danger. Normally, I don’t give a cardinal more than a few moments. But stopping and seeing one the other day, I was able to remember the beauty of our world, the wonder of God’s creation. I do that far less than I should. Then, this past Sunday, I pulled into the church parking lot, and before I got out of my car, another cardinal came and landed on my driver-side mirror. But he must have noticed me right away, because no sooner had he landed — he took off again. So close! And so close to another “cardinal” moment. The truth is: all moments and seasons of celebration end far too quickly. But whether they last for a year, a month, a day, or a second, they are reminders of just how quickly life passes us by. And how good God is, during all seasons of life. So, let me encourage you not to miss those “cardinal” moments — no matter how long they last. For they are gifts of God.